What is the NAS Autism Accreditation? 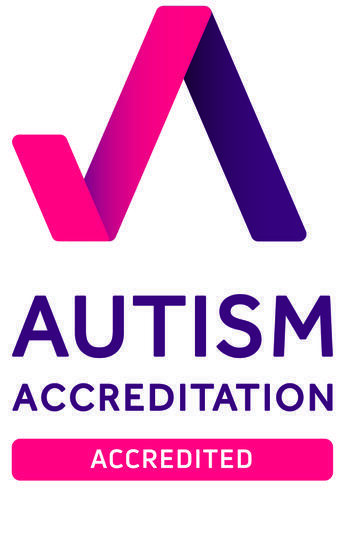 The National Autisitic Society Autism Accreditation is the UK’s only autism-specific quality assurance programme of support and development for all those providing services to autistic people. It is a way for organisations to show they offer excellent support to autistic children and adults. Oaklands is the first special school in Leicester to have received the Autism Accreditation. The accreditation is a three year process of reflection and strategic development, focused on developing the whole staff's understanding of Autism to be able to best support each individual child to reach their potential. An in depth assessment took place over three days in May 2018, with outcomes measured against specific criteria that were met and demonstrated. This included the reviewers observing lessons, analysing documentation, and listening to pupil and parent voice about our school.